University of Andorra setting the example and responding to the call from the UN to Celebrate the 70th Anniversary of the Universal Declaration of Human Rights by #standup4humanrights. During 30 weeks, each of the illustrations and the images of ISHR’s Pocket Guide to Human Rights will be displayed and exhibited in the University’s hall for the students to appreciate and understand the values embedded in the Universal Declaration of Human Rights. One image per week, to raise awareness about the importance of this universal document. 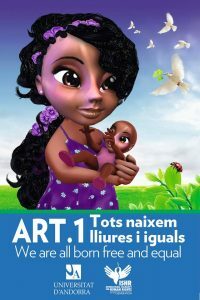 Note that the short version of each article has been translated in Catalan, the official language of Andorra. 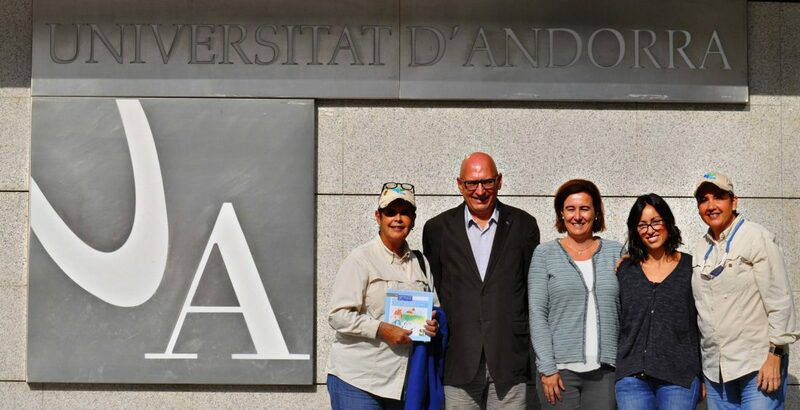 Collaborative initiative between ISHR and the University of Andorra.